Playa del Sol Resort- The Only Thing Missing is You! Playa Del Sol Kelowna Vacation Rentals features 283 one, two and two bedroom + den luxury vacation condos, each offering the comfort, convenience and modern style of full kitchens, living and dining areas, a TV for each bedroom, in-suite washer & dryer and private outdoor patios complete with furniture and gas barbecue. We are Kelowna's best choice for comprehensive amenities. The recreational areas throughout the resort have been designed for your maximum enjoyment. If keeping your body in tune is what you crave then treat your body in the fitness centre with all the latest of equipment then unwind in the steam room. Or perhaps a stroll around our expansive landscaped courtyard or dip in our outdoor swimming pool or hot tub are more to your liking. Or, if you’re looking to simply relax at the beach or spend time on the water, Okanagan Lake is just steps away from our near beachfront accommodations. Our on site fitness facilities exquisite restaurant, and trendy coffee house, will help you experience more of what Okanagan has to offer. We encourage you to take a tour of wine country, to make time for a few holes of golf and to unwind with a family sunset stroll. 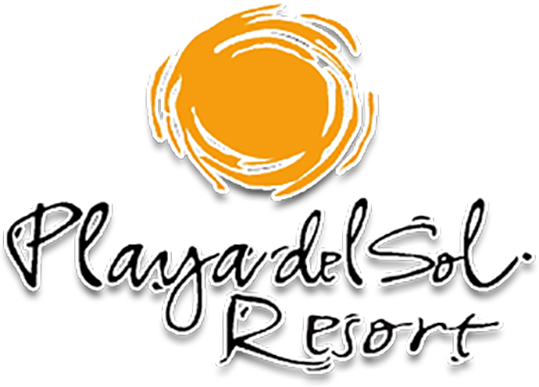 Playa Del Sol Resort offers luxury four-star vacation condo rentals in the heart of the Okanagan – your ideal setting for relaxation, recreation and indulgence. The only thing missing is you!